Donald Trump evades questions about whether employers should have right to discriminate on basis of religion and the tax-exempt status of religious organizations. 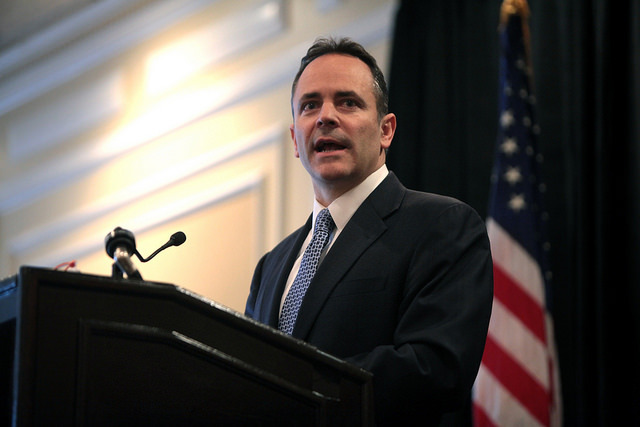 On April 13, 2016, Kentucky Governor Matt Bevin signed legislation (Senate Bill 216) which creates a single form that allows marriage license applicants to choose between being referred to as a bride, groom, or spouse. It also removes county clerks' names from marriage licenses.